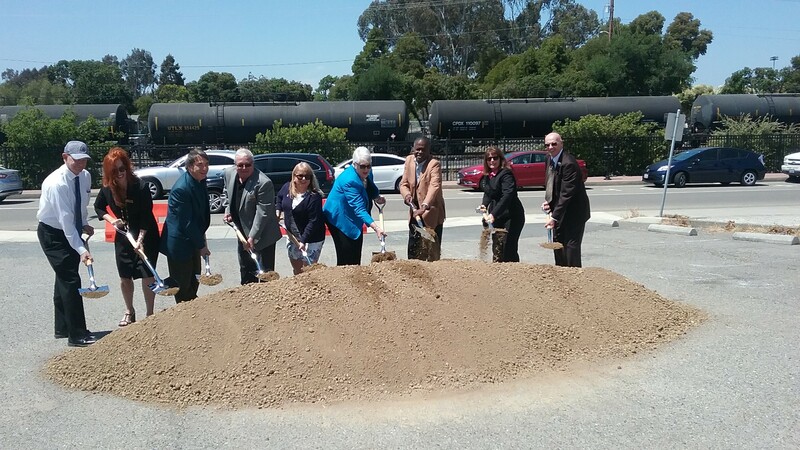 Contra Costa County and Martinez officials broke ground Tuesday, May 22 for the construction of the $60 million energy efficient Contra Costa County Administration Building at Escobar and Pine streets in Martinez. The county has attempted to replace the antiquated 11-story constructed in 1965 for the past 25 years but due mainly to national financial crisis those plans were scrapped. The new administration building is expected to be completed in May 2020. The county is also building a new $40 ‘million emergency operations center near its existing EOC in Martinez. Photo by Daniel Borsuk. Contra Costa County supervisors moved closer to adopting in June a commercial marijuana ordinance on Tuesday, and unanimously increased a three-year moving contract without raising a single question. The officials approved a $3.5 million contract extension for Metropolitan Van and Storage to provide moving services countywide through the end of its three-year contract that expires on May 31, 2019. The supervisors’ approval boosts the overall payment limit to Metropolitan from $4 million to $7.5 million. Placed on the agenda as a consent item, none of the five supervisors had asked to have Item No. 31 pulled from the agenda for discussion and action at a meeting where the elected officials were clearly more focused on a progress report from the county Conservation and Development Department on a draft cannabis ordinance, an agenda item that drew 53 speakers. When asked about the moving contract agenda item, board chairperson Karen Mitchoff said she was unaware of the Metropolitan contract item being on the consent agenda. County Administrator David Twa said he had reviewed the Metropolitan contract increase and found no irregularities. The county needs to add $3.5 million to the Metropolitan Van and Storage contract in order to complete the three-year contract that expires in May 2019, newly appointed Public Works Directors Brian Balbas said. While admitting the spending of the initial $4 million “came as a bit of a surprise” to him, Balbas said about 50 percent of the 2,266 invoices Metropolitan Moving submitted for 1,429 jobs came from, three major county departments – Assessors Department, Employment and Human Services Department and Health Department. In addition to moving furniture and other material, Balbas said Metropolitan Moving also takes down and erects cubicles in county department offices. Supervisors set the stage to adopt a cannabis zoning ordinance on June 26 after listening to long list of speakers, mostly opponents to the legalization of recreational marijuana. On July 10, supervisors are scheduled to consider adopting health and tax measure ordinances that will go before the voters, perhaps in November. After nearly two hours of public testimony coming mostly from residents in Supervisor Candace Andersen’s District 2, a district widely opposed to the sale and cultivation of recreational marijuana, the supervisor commented, “In a perfect world, I’m for a moratorium.” The supervisor hinted she might vote against the county ordinance because of the overwhelming opposition from her constituency, even though the county Department of Conservation and Development has spent hundreds of manhours and attended 27 community meetings around the county to inform the public about the county’s proposed marijuana ordinance. When Dr. Phillip Drum, a marijuana legalization opponent, listed butane explosions and a number of other reasons why supervisors should stop developing a marijuana ordinance even though 61% of Contra Costans approved Proposition 64 in 2016, Board Chair Mitchoff pointed out the Contra Costa ordinance will prohibit the use of butane to extract oil from marijuana plants. 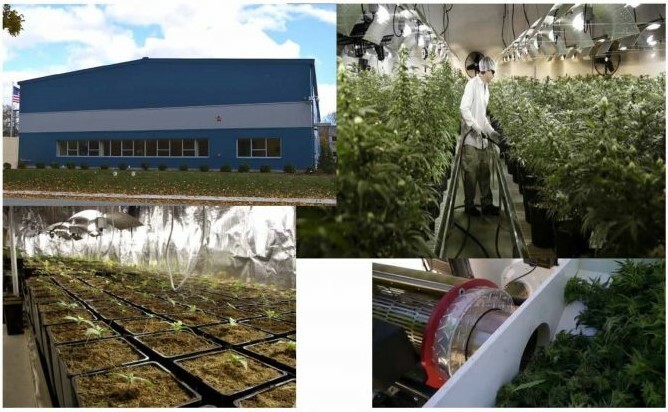 The proposed ordinance will feature zones for commercial cultivation, retail storefront, delivery only, manufacturing/processing, distribution and testing. For personal cultivation, the county is proposing six or less plants for indoor, private cultivation and not more than three plants that are more than five feet in height for outdoor cultivation. 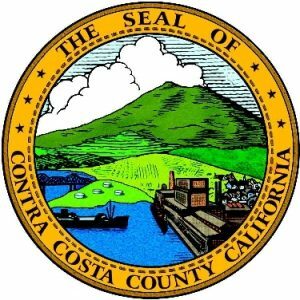 On Tuesday, April 17 the Contra Costa County Board of Supervisors heard budget proposals from the County Administrator and a number of County Departments on the proposed budget. The Board of Supervisors is scheduled to adopt the Budget for 2018-19 during its regularly scheduled session on May 8, 2018 in the Board Chambers at 651 Pine St., Martinez. Contra Costa County Supervisors are poised to approve on May 8 a $3.5 billion 2018-19 budget realizing that during the upcoming budget year there is the likelihood significant funding cuts out of Washington might especially hit human services programs. “The current administration in Washington is likely to reduce funding to states and counties,” county administrator David Twa warned supervisors at Tuesday’s board budget hearing. Even with that caution, supervisors did not blink an eye and proceeded to listen to six budget presentations from department chiefs about what is in store for the upcoming 2018-2019 fiscal year. Supervisors did not comment about the prospects of federal or state cuts next fiscal year at the hearing, but neither did any of the meager number of persons who showed up to speak about the proposed 2018-19 spending plan. The Employment & Human Services Department is subject to perhaps the most significant funding cuts from Washington, EHSD Director Kathy Gallagher told supervisors. Since 2017, funding for the department’s CalFresh and CalWorks programs that deliver food and job training for 65,000 residents has had federal funding trimmed from $101.5 million in 2016 to $90.4 million to 2018. More cuts are expected for the two programs in the upcoming 2018-19 fiscal year, she said. Gallagher painted a bleak federal funding fiscal picture showing a watch list of human service programs that could potentially be hit with steep federal funding cuts. Some of those programs include Medicaid, Community Service Block Grants, Child Welfare Services, and the Older American Act, which includes Meals on Wheels. Federal funding uncertainty also hovers over County Health Services, but not as severely as what EHSD faces, Contra Costa County Health Director Anna M. Roth told supervisors, in presenting her department’s proposed $1.8 billion budget for 2018-19. Next year’s budget includes $100 million in general funds. Roth noted that expansion of the Contra Costa Health Plan with more than 200,000 members provides the county financial support, especially when there is financial uncertainty coming out of Washington. Addressing only the $241,271,160 in general funds proposed for 2018-19, Contra Costa Undersheriff Michael Casten, who filled in for Sheriff David O. Livingston who was out of town, said a $5.6 million vacancy factor makes it “a very difficult for the Office of the Sheriff-Coroner to operate”. Casten said the funding deficit means for 2018019 the Sheriff-Coroner will not fill 10 deputy sheriff slots worth $2.6 million, three mental health evaluation team deputies openings worth a combined $781,000, 7 patrol deputies worth $1.82 million and six sergeants worth $1.77 million. The Sheriff-Coroner’s request for 15 recruit positions valued at $1.21 million was approved for the upcoming fiscal year. 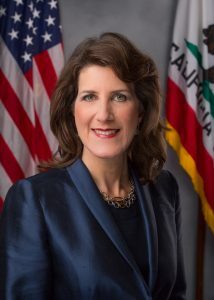 For Diana Becton, the Interim Contra Costa County District Attorney appointed by the board of supervisors last year who is up for election June 5, budget priorities for 2018-19 include enforcement of Proposition 64 (2016 voter approval for the legalization of the sale of marijuana in California), hiring of additional clerical staff, the implementation of a case management system and pay parity. For 2018-19, Becton wants to add 14 full-time staff worth $1 million. Those positions include five mainline prosecution assistant district attorneys, five mainline prosecution clerks, two senior inspectors and one forensic accountant. District attorney Becton wants to also distribute resources for bail reform, the East County Anti-Violence Coalition, the West County Anti-Violence Coalition, the Safe Streets Task Force and anti-truancy initiatives. Public Defender Robin Lipetzky plans to hire 8 staff members to her department next fiscal year. She plans to hire two attorneys, one investigator, pretrial attorneys, and clerical staff. A new juvenile office in Walnut Creek will open in the next month, she informed supervisors. Last year the public defender handled 501 juvenile cases. Her department last year also handled 3,545 felony cases. For 2018-19, Contra Costa Public Works will be busy filling 15 positions, Brian Balbas, Public Works Director said. The department will need the additional staff as Balbas needs more staff to oversee a big increase in capital improvement projects, including the construction of a new $110 million county administration building and emergency communication center. On a consent item, supervisors awarded a $12.45 million design-build contract to C. Overaa & Co. for the design and construction of the West County Health Center Expansion Project at 13585 San Pablo Ave., in San Pablo. When the project is completed, the new two-story, 20,000 square foot building will house the Behavioral Health Department, which will be relocated from a leased building. The new building will qualify for a LEED Silver rating from the Green Building Council. Other construction firms competing for the design-build contract were Vila Construction and Boldt Co. Supervisors also approved the $497,250 contract between the Sheriff-Coroner and Contra Costa Community College District to provide educational course construction at the Law Enforcement Training Center at Los Medanos College for the period July 1, 2018 through June 30, 2019. Congressman Mark DeSaulnier (CA-11) announced he will host his 60th town hall and mobile district office hour since taking office in January of 2015. The town hall will be held at Ygnacio Valley High School in Concord tomorrow, Saturday, March 3rd at 11:00 a.m.
DeSaulnier’s regular and frequent practice of holding town halls was among the reasons his office was recently nominated by the Congressional Management Foundation as a finalist in the first-ever Democracy Awards for outstanding Constituent Service. To confirm attendance, please by RSVP online at https://desaulnier.house.gov/town-hall-rsvp or call 925-933-2660. 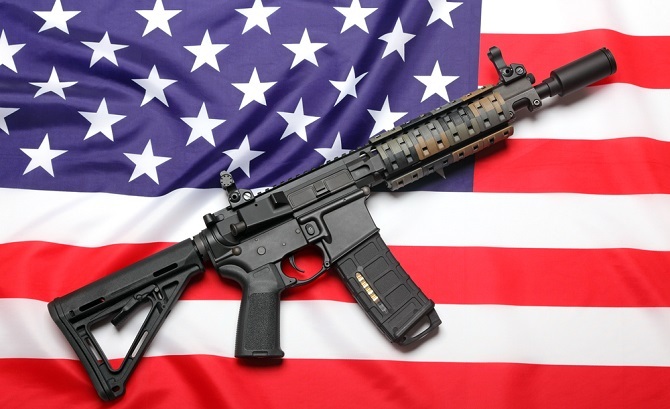 To request ADA accommodations, translation services, or for more information please contact one of Congressman DeSaulnier’s offices in either Walnut Creek or Richmond. As we continue to grieve the loss of 17 innocent lives in Parkland, Florida, Congressman Mark DeSaulnier (D, CA-11) will host a gun violence prevention town hall at Stanley Middle School in Lafayette on Saturday, February 24th. To confirm your attendance please RSVP online at https://desaulnier.house.gov/town-hall-rsvp or call 925-933-2660. To request ADA accommodations or for more information, please contact Congressman DeSaulnier’s office. 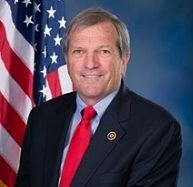 Congressman Mark DeSaulnier (CA-11) will host a town hall at Diablo Valley College this coming Monday, February 12th at 6:30 p.m. in Pleasant Hill. This town hall is an opportunity to discuss important issues of the day including the federal budget, the new tax law, immigration, the economy, and more. Attendees will be provided with a Congressional update and given the opportunity to ask questions. Please confirm your attendance, by RSVPing online at https://desaulnier.house.gov/town-hall-rsvp or call 925-933-2660. To request ADA accommodations or for more information please contact one of Congressman DeSaulnier’s offices in either Walnut Creek or Richmond. California’s growing pension liability is threatening California’s economic future, unless elected leaders show the courage to take on needed reforms, according to Sen. Steve Glazer, D-Orinda, and Assemblywoman Catharine Baker, R-Dublin, who will kick off their 2018 Bipartisan Speaker Series on the topic on Monday, January 22. On hand will be pension expert David Crane, president of Govern for California, whose mission is to support legislators willing to tackle tough fiscal issues. 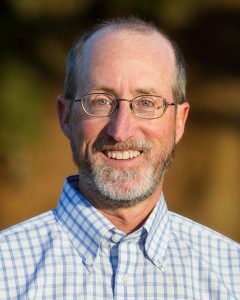 Crane, also a Stanford lecturer in public policy, will speak on the economic stresses that California faces with its growing pension liabilities. Over the last two years, Sen. Glazer and Assemblywoman Baker have held more than a dozen bipartisan town hall meetings in an effort to break down partisan barriers to arrive at common sense solutions to California’s problems.